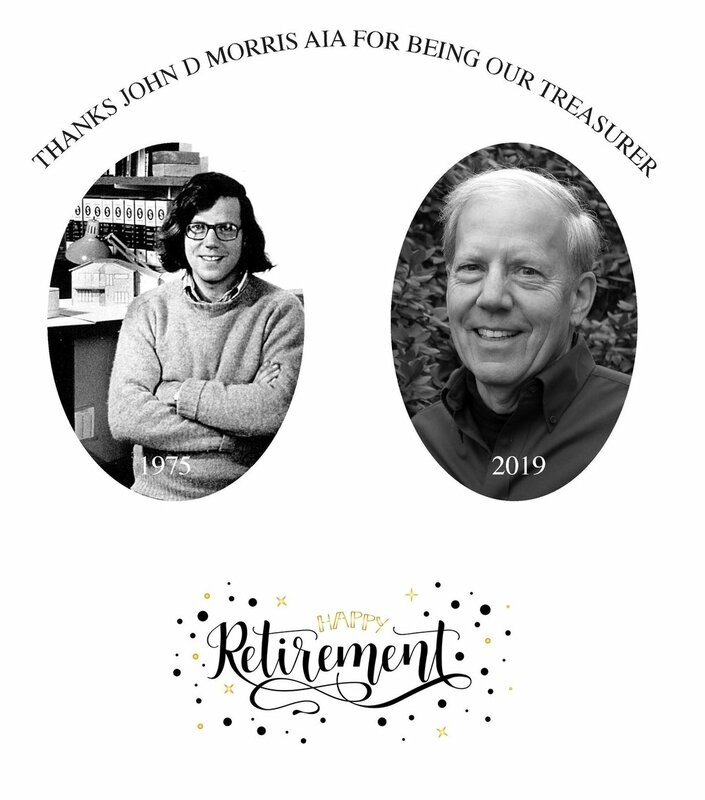 John Morris AIA will soon be retiring from his eponymous practice based in Camden, Maine. John has served on our Board of Directors since 1975. Most recently John has served as our treasurer. Over the years, John’s capable skills have allowed AIA Maine to become a financially stable non-profit organization. In 2012, John led efforts to create the AIA Maine Centenary Scholarship program, raising over $50,000 to establish an endowment for yearly student scholarships for students studying architecture at the University of Maine at Augusta. In 2019, John will transition from his role on our Board of Directors but will remain in place until a replacement is identified. Thank you, John, for your years of service to AIA Maine! You will undoubtedly be missed in your retirement.